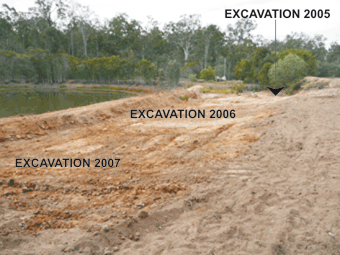 In 2007 we returned to the site to extend the excavation. It now covered an area several Olympic swimming pools in size. This photo is free to use for educational purposes. To support this research with your donations, click here.